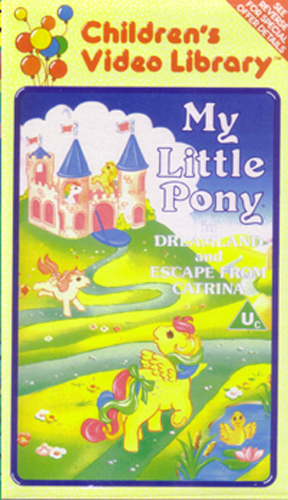 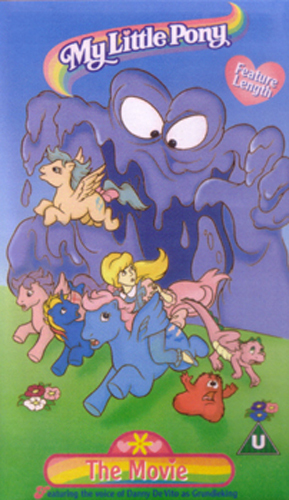 "My Little Pony in Dreamland and Escape from Catrina"
I managed to tape episodes of "My Little Pony" off the Disney Channel whenever we had the previews. 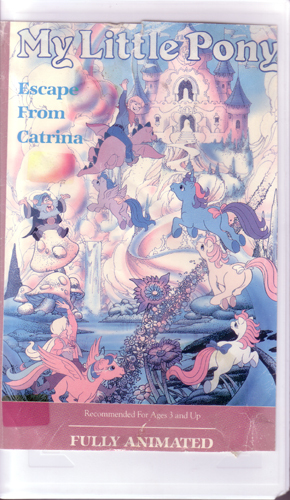 You'll see some repeats because from our family ended up getting the Disney Channel full time, but we never taped over the repeat episodes, because of certain things that were in between the pony episodes that I simply will not allow anyone in my family to tape over. 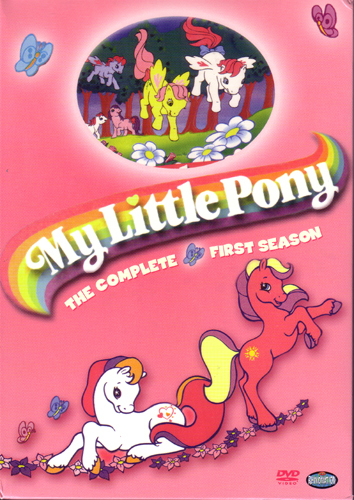 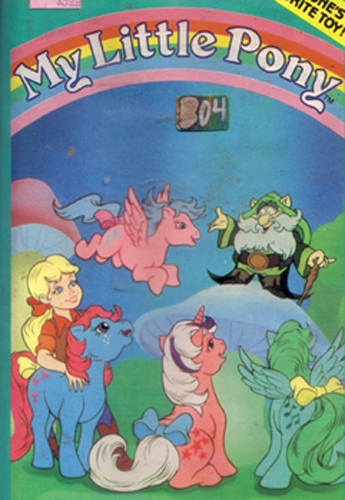 We also have episodes of "My Little Pony Tales" on tape, but they're not going to be listed here, since I don't know what we have from memory, and I don't feel like scrounging around for tapes. 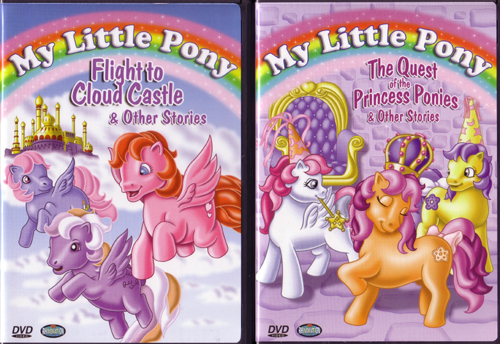 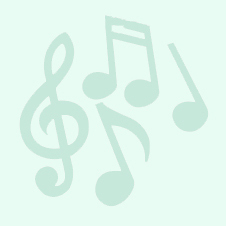 "Little Piece of Magic/Mish Mash Melee"
"The Ghost of Paradise Estate"
"The End of Flutter Valley"
"The Four Golden Horse Shoes"
"Spike's Search/The Prince and The Ponies"
"The Quest of the Princess Ponies"